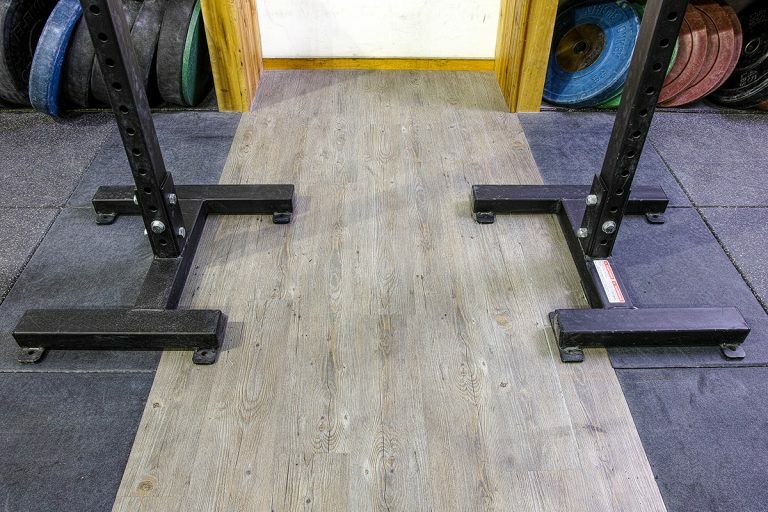 Finally, Olympic lifters can stop worrying about the correct technique on a missed rep to safely drop the barbell. 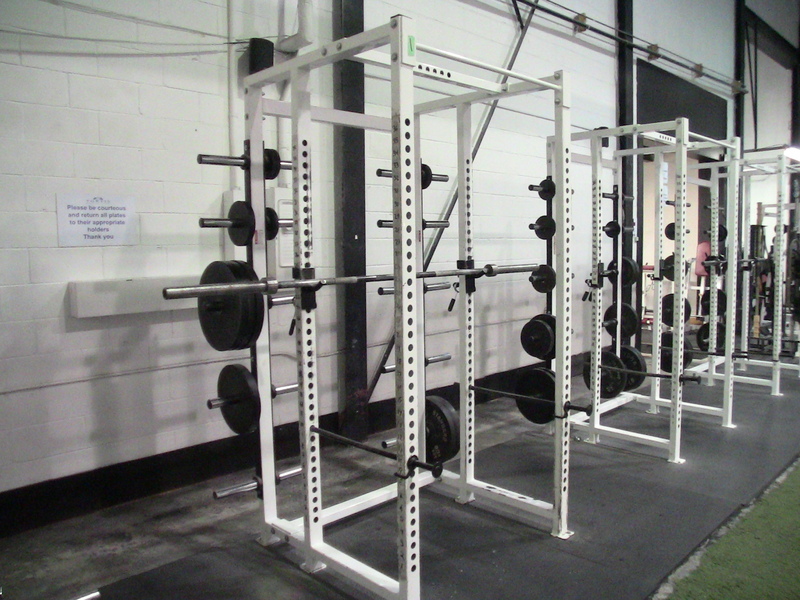 Also, really large lifters who are not comfortable in a standard rack can now lift safely. 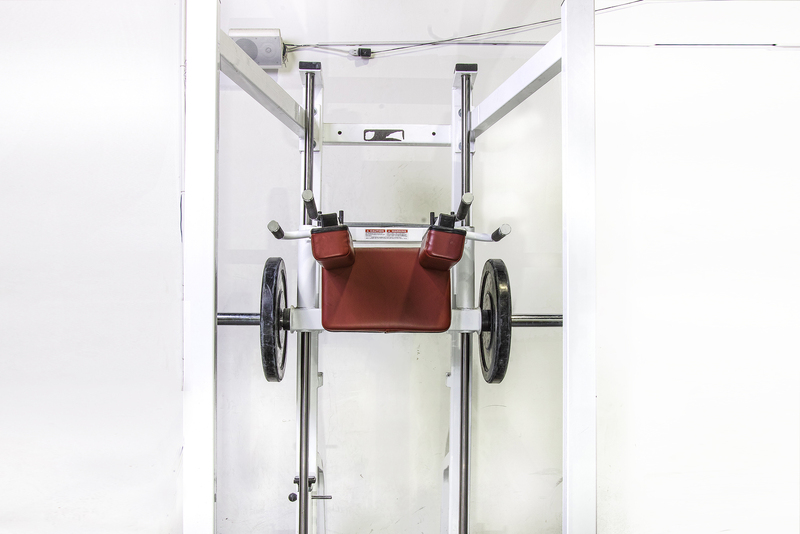 Finally, anyone who cannot afford the space, or cost of a standard rack can still benefit from the most important reason for a rack – safety – because of the adjustable pins. 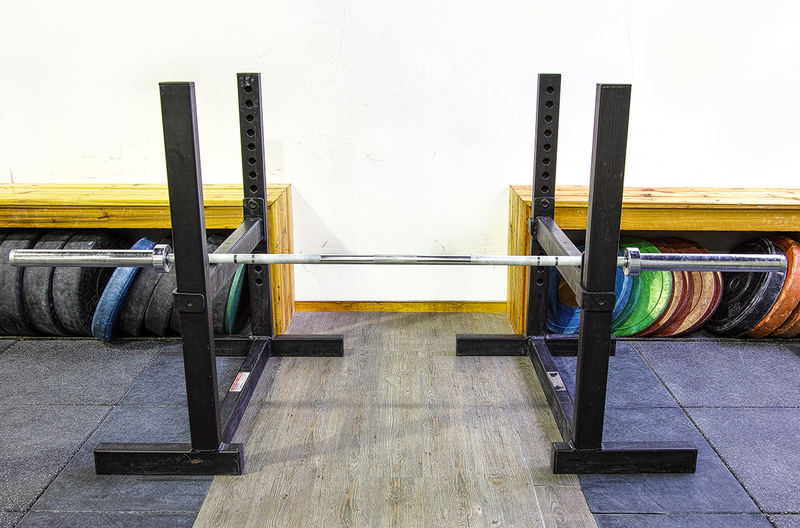 We constructed the base frame of our moveable pins with the same design as our squat stands. 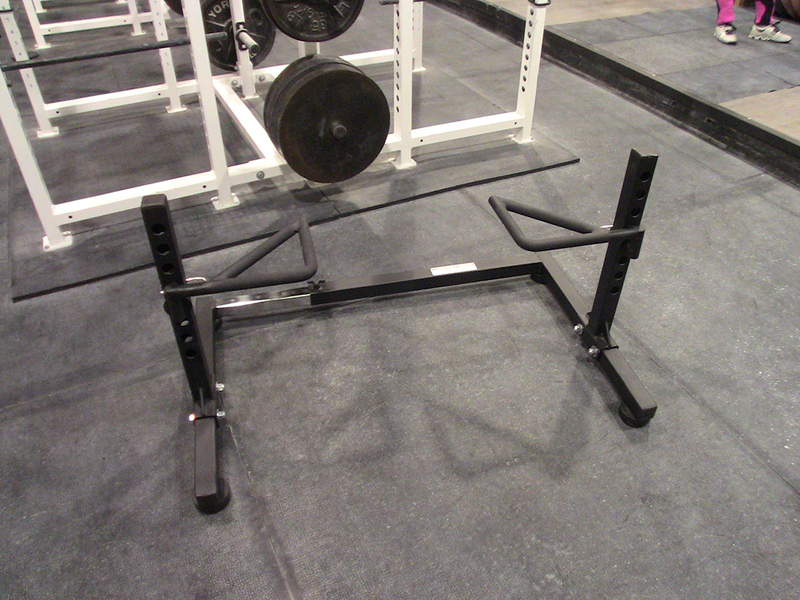 This allows lifters to walk in and out with heavy weight with no worry about tripping or stepping over the base frames. 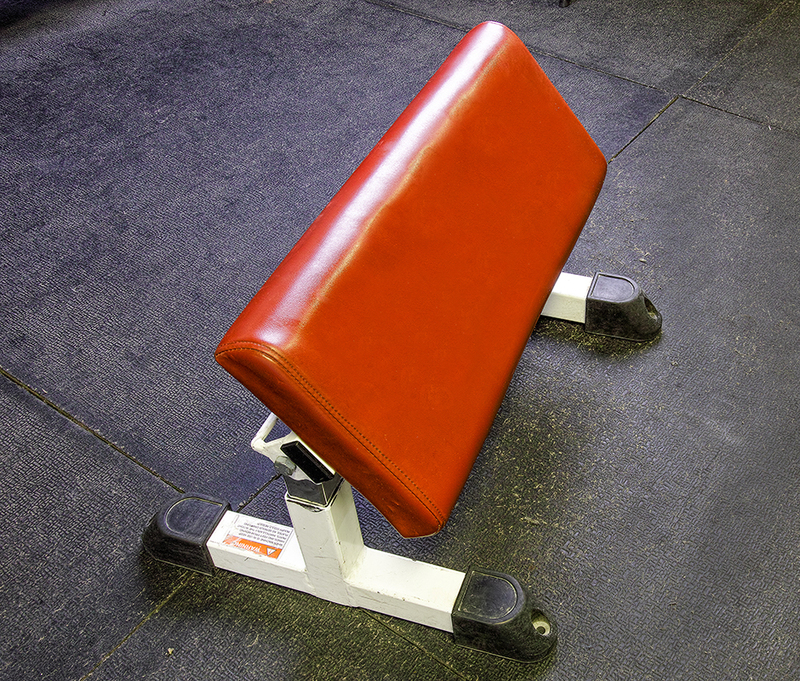 These moveable pins will also work with a standard bench press as full body face savers. Great, I use them all the time.